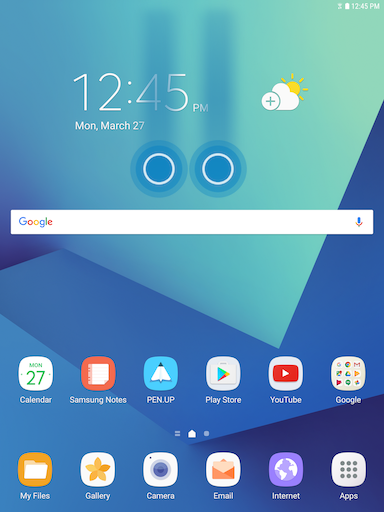 How can I adjust the screen brightness or timeout on my Galaxy Tab S3? 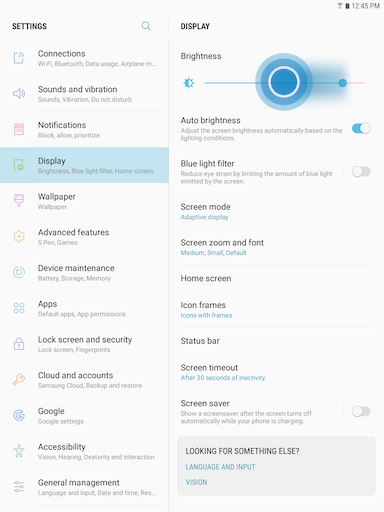 Note: If Auto is selected, your device will adjust automatically the display brightness based on your environment. This option is selected by default. 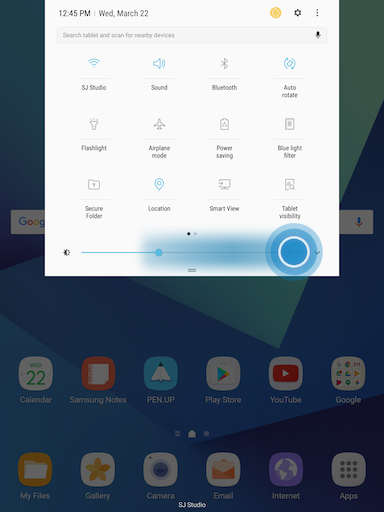 If you move the brightness slider while Auto was selected, you can modify the brightness but your device will adjust automatically the display brightness next time you will restart the device. 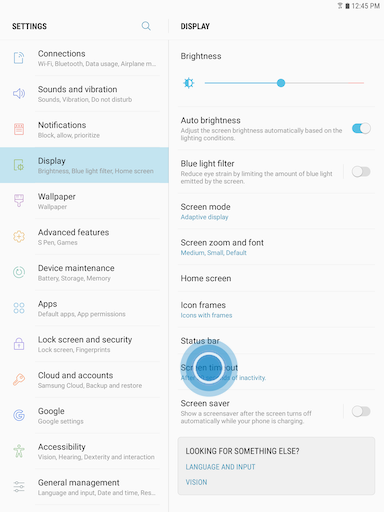 You must uncheck the box if you want the brightness level to be manually set to a certain value and remain at that value, even if you restart your device. Choose how long the display screen remains lit after you touch the screen or press any key or button. 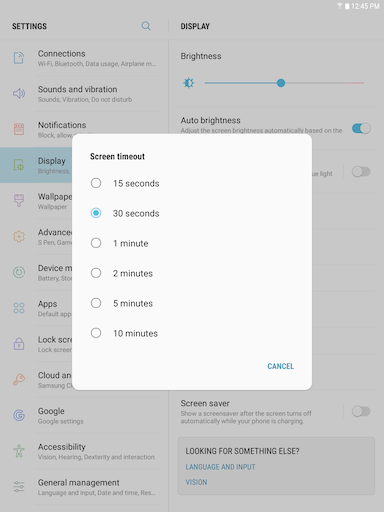 Reducing the screen timeout can assist battery conservation. 4. Swipe to and touch Screen timeout.